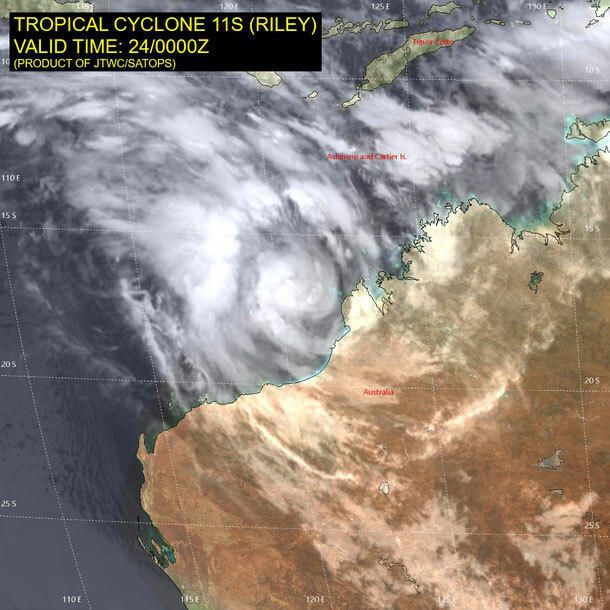 The third cyclone to develop in the Australian region in the 2018-19 season was named Riley. Tropical Cyclone Riley traveled South West down the WA coast before developing further to a category 2 cyclone and moving off-shore. TC Riley did not make landfall. 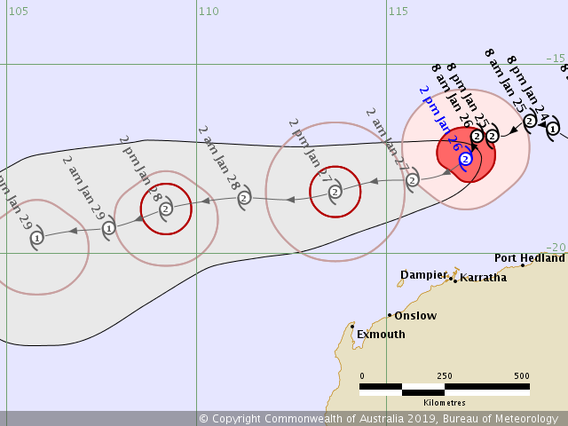 Track map of Tropical Cyclone Riley, 26/01/2019. 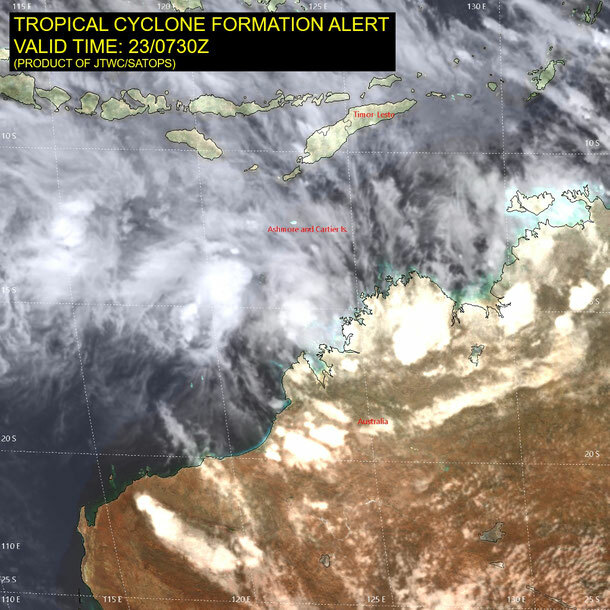 Image from JTWC.